I've got something to share! I've got to know about this place while walking in Cineleisure doing my 1st challenge some time back! & my pretty team mate Jessica have also done a review on them! Javier's is a salad bar for both vege lovers and meat lovers! 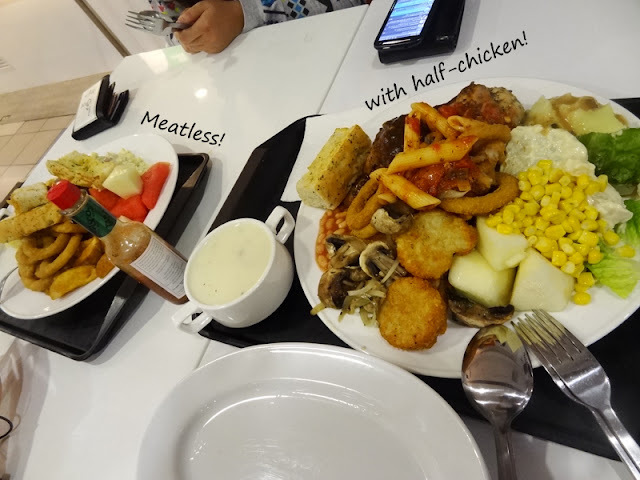 You can choose to have Quater chicken to Full Chicken or just "fill-the-plate" meatlessly! Filling up the plate would cost you SGD8.90nett and Quarter chicken + fill-the-plate costs SGD14.90nett! Many of you would be like wondering why am I recommending this place to you all right? Hahaha, this place is awesome because of their humongous portion of food that feeds 2! If you're alone, I'd rather you eat Wanton Noodles at Grafitti Cafe! LOL. 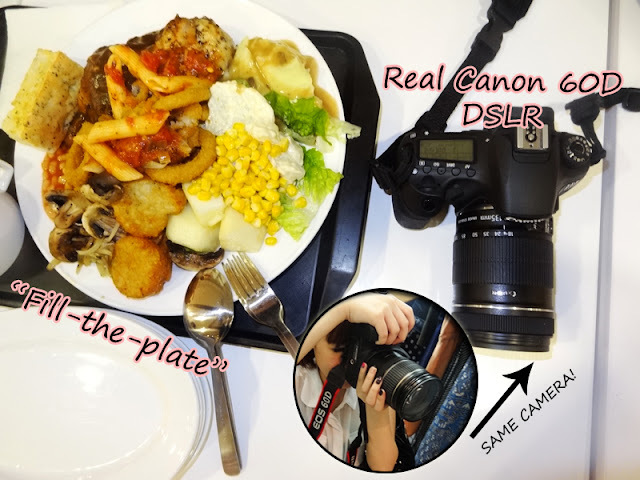 2 friends can share a plate which means it would only costs up to SGD4.50 each person! Plus, it's really quite fun to share the plate with your friends. I enjoyed putting food at my friend's plate! They would put food into mine too! You won't regret going there! If you and your friends are REALLY hungry, do try their grilled half-chicken and fill the plate! - Do not take TOO much food to your plate! Know your friend and your own limit! - The first station on your left, after you've gotten your plate from the staff, are for SALADS (all uncooked). - The second station have all the wedges, onion rings, hash brown, mushrooms (all the cooked foods). - There are plates on the left hand side with the cutleries so do collect them for sharing purposes! Please remember not to waste food due to over-estimating yourself! We tend to think that we can eat more than me actually can! They dont charge for wastage, but I still do not encourage over taking!